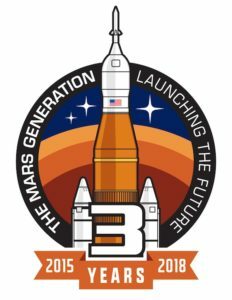 The Mars Generation » Blog » The Mars Generation » TMG Turns Three Membership Campaign: Get Your Limited Edition Patch Today! Become a member of The Mars Generation and help us reach our goal of 1500 members. Don’t miss this opportunity! It’s The Mars Generation’s third anniversary membership campaign! Hurry and sign up today to get one of our limited edition 3rd anniversary patches! When they are gone they are gone! So don’t delay – sign up now to make sure you get one! We have a goal of reaching 1,500 members by November 15th, 2018! We only need 615 more people to reach this goal, and you can help us make this happen! Sign up today! To reach our 1,500 member goal we need your help NOW! Become a valuable member of this inspirational, educational non-profit and join us today to receive an exclusive member t-shirt and our limited edition patch (when they are gone they are gone)! Why join The Mars Generation as a member TODAY? YOU ALSO GET A BUNCH OF AWESOME PERKS YEAR ROUND (CLICK HERE TO LEARN ABOUT THEM! Your membership supports our outreach work and programs that have already reached millions and will continue to grow. 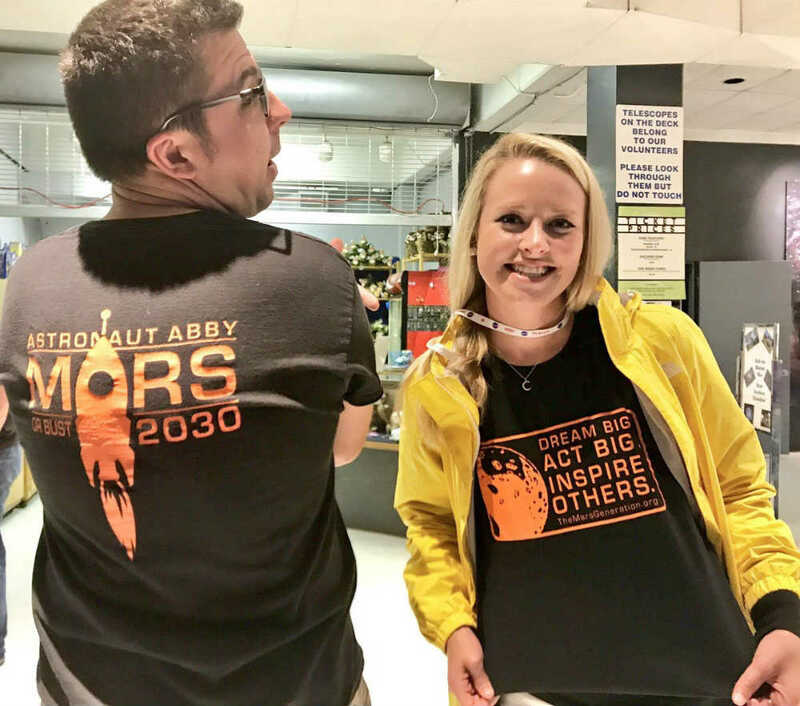 We work to inspire today’s youth to become tomorrow’s leaders in science, technology, engineering, art, and math (STEAM) and space exploration as well as inspire everyone to Dream Big, Act Big and Inspire Others. We are also working, through our mass outreach, to educate and excite people about human space exploration and teach them why we need to send humans to Mars. This outreach is essential to driving public interest and funding for all space exploration. Read more about this membership opportunity on our TMG Membership page and sign up today! This is your opportunity to become a member and be entered to win BIG. After November 15th, 2018 we will no longer offer this special membership deal for The Mars Generation. Take this opportunity now, and sign up to receive FREE REWARDS and exclusive PERKS. Join The Mars Generation as a member today!